How to Make Herb-Infused Oils for Cooking, Body Care & More! 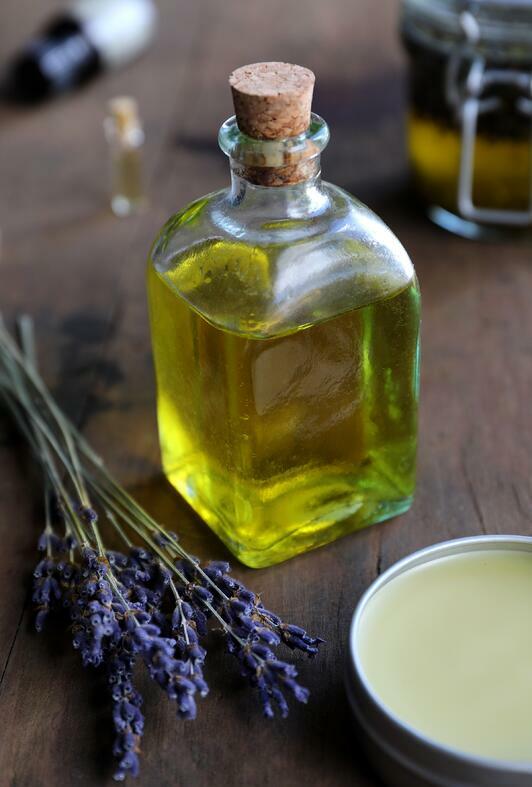 Simply infusing a carrier oil with herbs will transform it into a versatile ingredient. There are several ways to infuse oils, but our favorite is the "folk" or "simplers" method, which relies on the sun to naturally infuse oil with herbal properties. We have also included a quick method if you're short on time!. Many different organic carrier oils may be used, however jojoba oil and olive oil are popular and wise choices because they have long shelf lives and are suitable for many applications. Herbal-infused oils can be used to create massage oils, salves, lip balms, facial serums, hair treatments, body creams, soaps, and more! 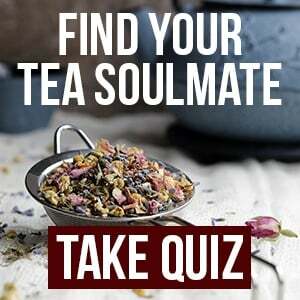 There are a countless number of herbs (and even resins!) that can be infused into oil, depending on your needs. We always suggest using organic herbs whenever possible to ensure you are not adding synthetic chemicals to your creations. We also recommend using dried herbs. If you want to use fresh herbs, wilt them first for 12 hours to remove the moisture (too much water will cause your oil to go rancid), cut into small pieces, and crush with a mortar and pestle before adding to your infusion container. 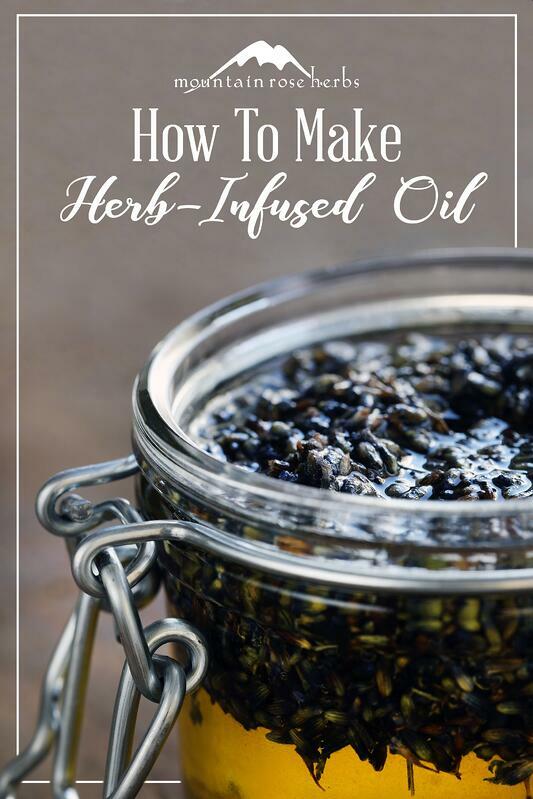 Use the sun to naturally infuse oil with the goodness of your organic herbs! Place herbs in a clean, dry quart jar. Leave at least 1 to 3 inches of open space above your herbs to cover with oil. Fill remaining space in jar with oil of choice, making sure to cover herbs by at least 1 inch or more. If the herbs emerge above the surface of the oil at any point while infusing, pour more oil on top to ensure the herbs remain covered. Cap the jar tightly and shake well. Place jar in a sunny, warm windowsill and shake once or more per day. 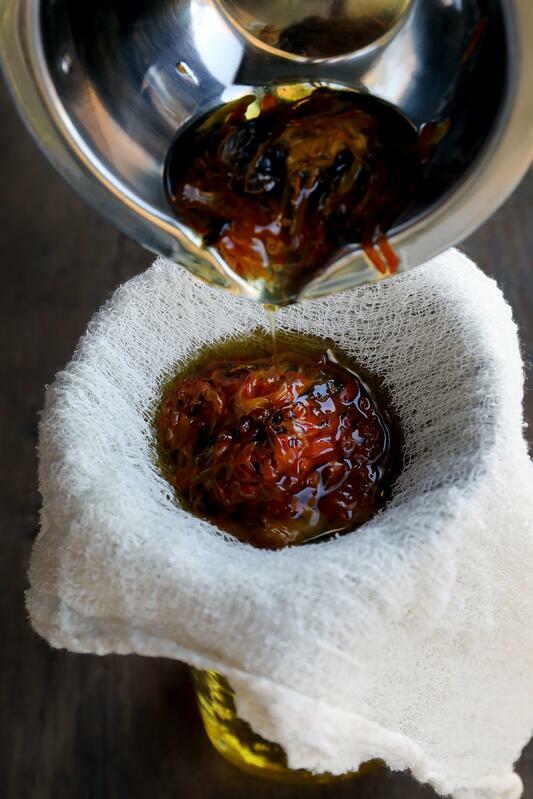 After 2 to 3 weeks, strain the herbs out of the oil using cheesecloth or a mesh strainer. Make sure to squeeze out as much of the precious oil as possible! Pour into clean glass bottles. Label your jars with the date, type of oil, and herbs used. Store in a cool, dark place. The oil should keep for at least a year. Vitamin E oil at a concentration of up to 1% may also be added to prolong shelf life. The quick method utilizing heat is sometimes necessary when herbal oils need to be created in a pinch. Much care needs to be taken when crafting herbal oils this way because you don't want to deep-fry your herbs! Place herbs in crock-pot, double boiler, or electric yogurt maker, and cover with organic extra virgin olive oil (or other carrier oil of choice), leaving at least an inch or two of oil above the herbs. Gently heat the herbs over very low heat (preferably between 100° and 140° F for 1 to 5 hours, until the oil takes on the color and scent of the herb. Some texts recommend heating the oil 48 to 72 hours at a controlled temperature of 100° F. Turn off heat and allow to cool. Once oil is cooled, strain using cheesecloth. Bottle in dry, sterilized glass bottles. Be sure to label your bottles with the date and contents before storing them. Store in a cool, dark, dry place. Vitamin E oil at a concentration of up to 1% may also be added to prolong shelf life. While infusing with the slow method, you can cover the jar with a brown paper bag if you prefer to keep it away from direct sunlight. According to Rosemary Gladstar, using the sun to infuse herbs in oil is a very old folk practice that has worked for our ancestors for centuries! It is fairly common to have some pieces of your herbs that will float in the oil after saturation. If these float to the top and start to mold or decay, simply skim them off and discard. The amount of herbs used will depend on the size of the jar, as you want to leave at least a couple inches of space for oil coverage or any swelling that may occur as the herbs soak up oil. Herbs with natural dyes may be infused in oil for use in adding color to soaps and other body care formulations. Blend herbs together for synergistic infusions. For example, hops flowers, lavender flowers, and chamomile flowers infused together in jojoba oil make a wonderful relaxing blend for use with massage. Mix and match to suit your needs! 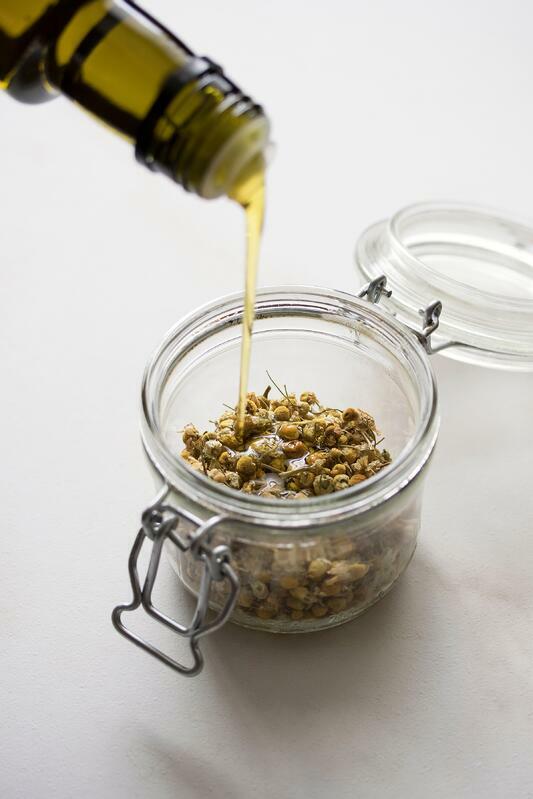 Want to create Skin care products with your infused oil? Learn How to Create a Salve with Herbal Oil! 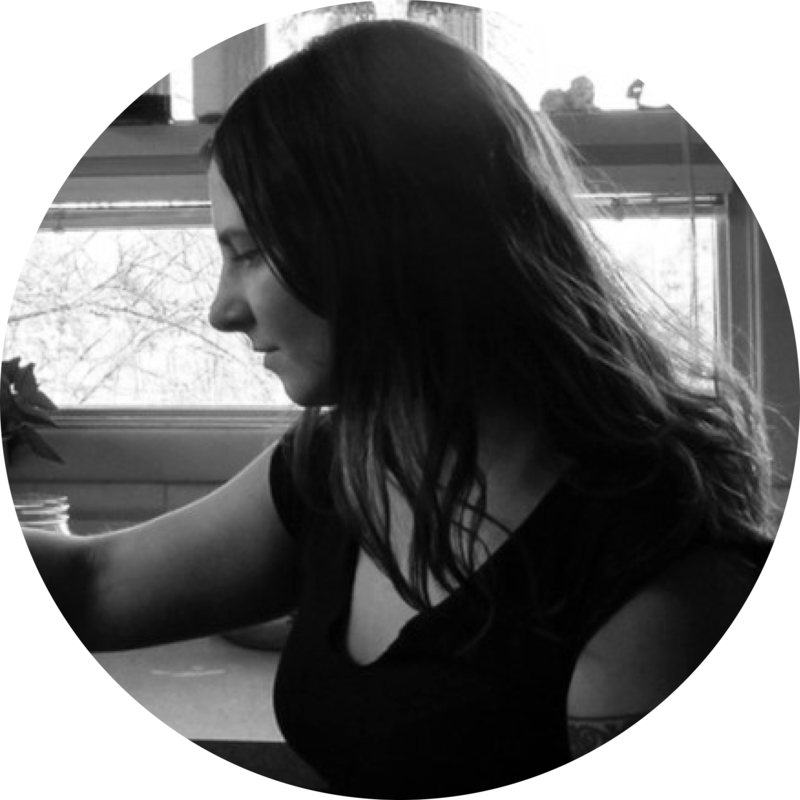 Irene, Chief Marketing & Customer Officer, supervises the daily operations of all our customer-facing activities at Mountain Rose Herbs. Her extensive experience with herbal products and DIY recipes goes back to 1997, and since 2012 she’s owned her own skincare business where she specializes in botanical-based facial care products. Irene’s recipes have been featured in local and national publications including the National Association for Holistic Aromatherapy (NAHA) Journal, Amaze Magazine, Willow and Sage magazine, MaryJanesFarm Magazine and Newsletter, Earth First Journal, Farming Magazine, Eugene Magazine, and the Eugene Weekly. Irene also served as a member of the Board of Directors for nonprofit Cascadia Wildands from 2013-2016. When she isn’t ensuring your experience aligns with the goals and mission of our company, she can be found taking care of her adorable twin boys, harvesting wild plants, and gardening.